When the seeds crackle, add the urad dal and sauté on a medium flame for 30 seconds. Add the green chillies, curry leaves and onions and sauté on a medium flame for 2 to 3 minutes, while stirring occasionally. Add the potatoes, salt & turmeric powder, mix well and cook on a medium flame for 2 minutes, while stirring occasionally. Once cooled, mash lightly with the back of the spoon and keep aside. Start a night before.Add methi to urad dal.Soak urad dal and rice in water seperately for 10 to 12 hours. Grind urad dal and rice to fine paste.Mix together.Add salt and sugar..
Use a non stick tava. In a a bowl keep cold water ready,and a cotton cloth handy. Heat the tava on slow heat,sprinkle cold water and wipe clean with cloth. 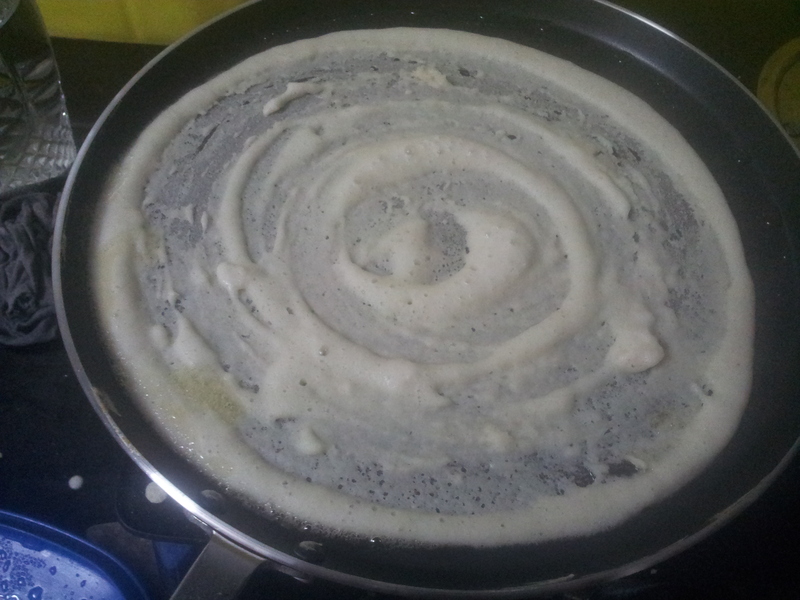 Now add spoon ful of batter on center of the tava spreading on the tava in a circular motion. (from center of the griddle ). smear little oil at the sides. 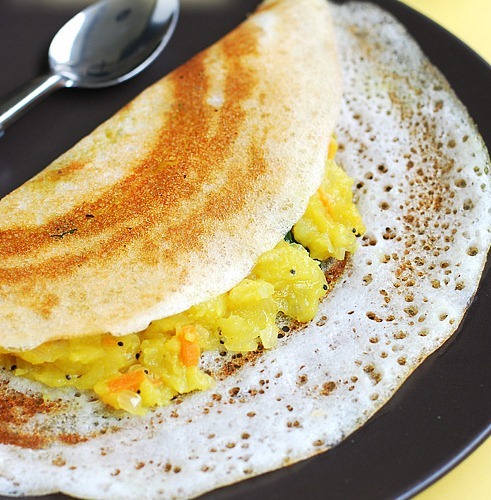 Spread the prepared masala evenly over the dosa using a spatula and cook till the dosa turns golden brown in colour. Fold over while pressing it lightly, using a spatula to make a flat roll. 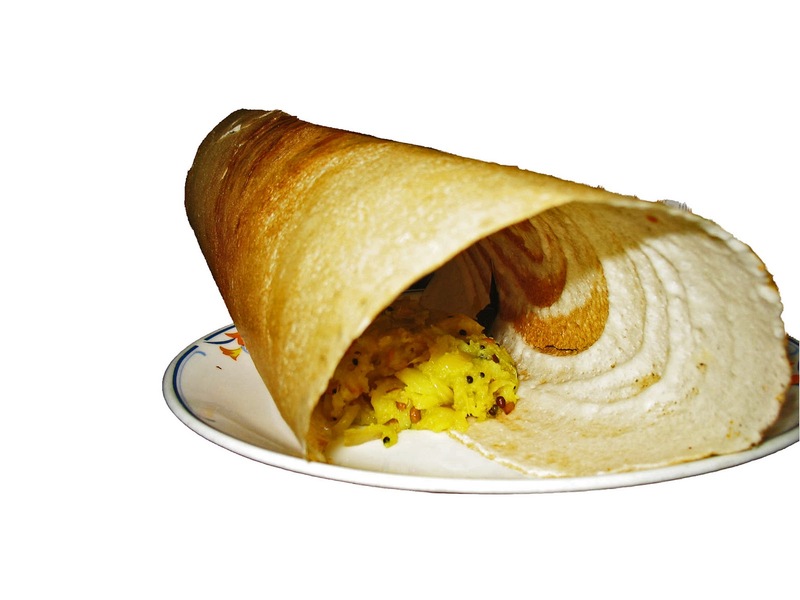 Repeat with the remaining ingredients to make more dosas.